For most of the Croatian people (or as they call themselves, Hrvati) when it comes to defining their origins and tracing their ancient roots they turn towards the land of Iran and Persia. According to academia the name Hrvat comes from Hrovat which comes from the Slavic Horvat which originates from the Indo/Slavic Harvat and which is ultimately traced to Persia and the name Harahvaiti. Harahvaiti however, is the corrupted name of Sarasvati, the great Vedic Goddess, the Mother of Sanskrit, the great river of the Rig Veda and the Goddess of learning. The Persians had a tendency to replace a Sanskrit ‘S’ with a Persian ‘H’, and so the word Haravaiti is actually Sarasvati. 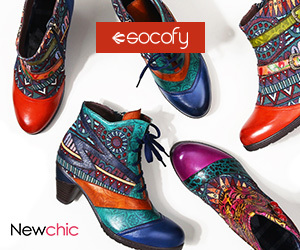 This tendency can be seen in their word for ‘week’, hapta, which is in the Sanskrit sapta meaning week. Their name for the ‘Sun’,Hvar, is the Sanskrit Svar meaning the same. In the Avestan we find the seven rivers of the Aryan land are described as hapta hendu, an obvious corruption of sapta sindhu, the seven rivers of India. Finally there are the rivers of Iran, Haravaiti and Harayu which are the Vedic rivers of Sarasvati and Sarayu. And so if the name of Croat (Hrvat) comes from Harvat and this in turn comes from Harahvaiti, we must conclude that the source is Sarasvati. 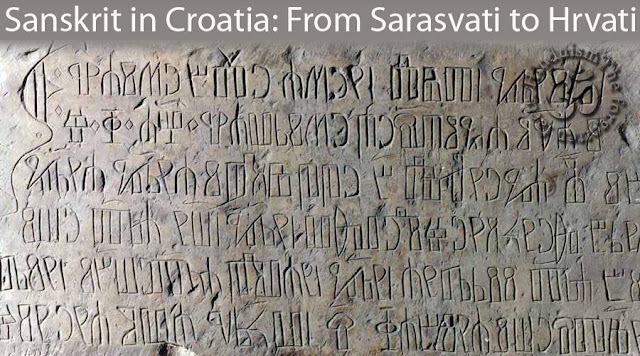 Sarasvati is one of many words which are cognate with the Croatian language. Med is a Croatian word meaning honey and this comes from the Sanskrit Madhu, a name for Krsna. The Russian Medvedev and the Croatian Medvjed both mean ‘honey eater’ a name for the bear and they both come from the Sanskrit Madhava, a name for Krsna which means ‘he who intoxicates like honey’. Below are some of the many similarities which are shared between the Sanskrit and Croatian language. According to academia, the oldest recorded name Harvat, was found in the Mittani/Hurrian documents spoken by King Tusratta some 3500 years ago. In the documents he refers to his Kingdom as Huravat Ehillaku. We should note, however, that the King who spoke this 3,500 year old inscription was a Vedic/Hindu King, Tusratta being a corruption of Dasaratha, dasa being Sanskrit for ‘ten’ and ratha Sanskrit for ‘chariot’. King Dasaratha, according to academia, was one of many Vedic Kings who ruled the Kingdom of Mittani. The chronology of these Mittani Kings are as follows: Kirta - Suttarna - Baratarna - Parsatatar - Saustatar - Rtadharma - Suttarna II - Artashumara - Dasaratha - Mativasa - Sattuara - Vashasatta - Sattuara II. These names are all Sanskrit/Vedic. Suttarna is Sanskrit for ‘good son’; Dasaratha is Sanskrit for ‘ten chariots’; Parsatatar is a variation of Sanskrit Parasu, ‘he who rules with the axe’; Mativasa is Sanskrit for ‘the abode of prayer’; Ritadharma is Sanskrit for ‘the law of dharma’ and Artashumara is Sanskrit for ‘the winds of righteousness’. It is an academic fact that the Kingdom of Mittani was ruled by Vedic Kings. Here we note that the capital of Mittani was called Vasukhani. Vasu being Sanskrit for ‘wealth’ and Khani means ‘mine’ – ‘a mine of wealth’. So if the roots of Croatian civilization are intimately connected with Iran and Persia, and in particular Mittani and the Hittites, one should take into consideration the Vedic influence behind it all. The Croatian name for God is Bog which once again comes from the Sanskrit Bhaga, meaning Bhagavan, ‘the supreme Lord’. We see a nice example of this in the capital of Iraq, Bhagdad, Bhag being the Sanskrit Bhaga and dad coming from the Sanskrit dadati meaning ‘gift’ – ‘the gift of God’. Below are more similarities between the Sanskrit and Croatian languages.